The head of Iran’s wrestling federation resigned on Wednesday after criticising authorities for letting athletes pay the price for the ban on facing Israeli opponents, Radio Farda reports. Wrestling is a hugely popular sport in Iran where Rasoul Khadem, an Olympic gold medallist, was re-elected as president of the Wrestling Federation just two months ago. 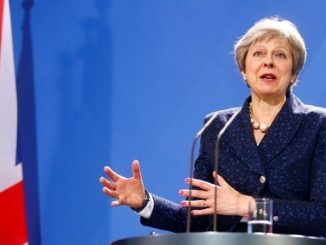 But in a somewhat cryptic letter published on the federation’s website, he suggested he had been forced from his post, saying “apparently it is not going to work out” because of “my awkward mentality”. “I cannot lie. Sometimes the best way to take a stand is not to stand,” he wrote. The councils for freestyle and Greco-Roman wrestling announced they were resigning en masse along with Khadem, the semi-official ISNA news agency reported. Khadem had recently criticised Iranian authorities for their approach to competing against Israeli opponents. 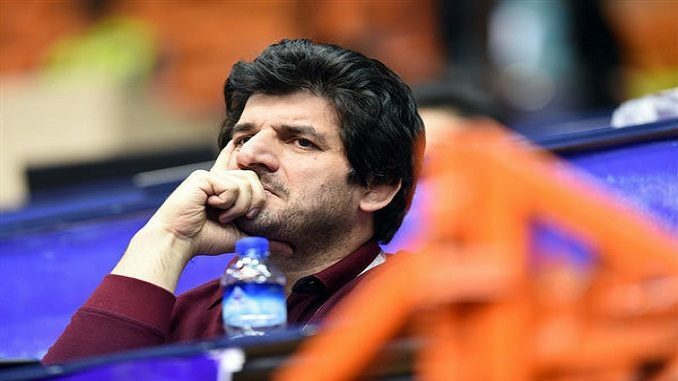 “Khadem has sacrificed himself for wrestling and since he has stepped down, there is no point for us to remain in our post,” Hossein Marashian, a member of the wrestling committee told ISNA. It followed a six-month ban given to Iran’s Alireza Karimi Mashiani by the United World Wrestling Disciplinary Chamber for deliberately losing a match at the under-23 world championships in Poland in November in order to avoid an Israeli opponent in the next round. His coach Hamidreza Jamshidi was banned for two years. Karimi Mashiani was winning a match against his Russian opponent in November’s under-23 world championships when his coach ordered him to lose, the United World Wrestling Disciplinary Chamber said. The Disciplinary Chamber found that Karimi Mashiani “on the instruction of his coach Jamshidi, willfully lost his quarterfinals match against Alikhan Zhabrayilov”. In a video clip of the 86-kilogram category of the Senior U23 World Championship match held in Poland November 21-26, a voice can be heard clearly instructing Karimi to lose the match. “Alireza, lose! You must lose, Alireza!” the voice urged Karimi, who lost the match. 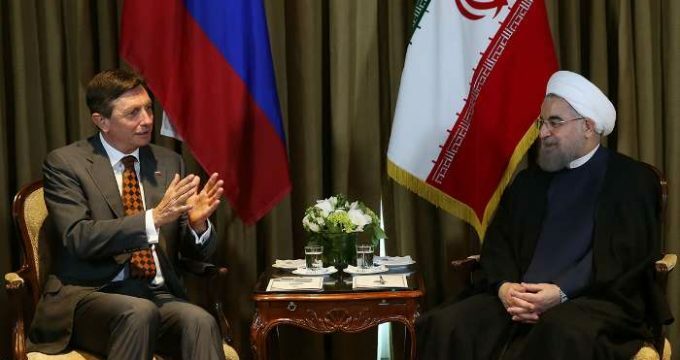 Khadem argued that Iranians should openly admit they will not compete against Israelis rather than invent excuses, and accept the consequences. Having lost one of his best athletes for the next six months, Khadem, himself an Olympic gold medalist in wrestling, decided it was time to speak out about Iran’s unwritten rule barring its athletes from competition with Israelis. 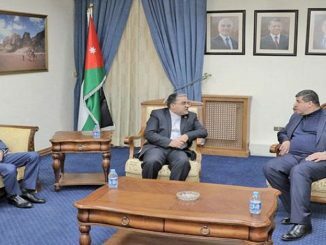 “If we must continue with the policy of non-competition against the Zionist regime’s athletes, the responsibility cannot fall on the shoulders of the coach and the athlete. Forcing an athlete to accept defeat or run around all night looking for a doctor’s note is not right,” he said on public radio, according to ISNA, pointing that a “fundamental solution” needed to be reached by the Supreme Council for National Security. He had previously told ISNA that, if the country’s policy was to avoid Israeli rivals then it should “behave honestly and… accept the consequences”. 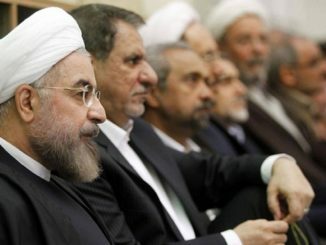 The Islamic republic does not recognize the Jewish state, placing it in the same “Great Satan” category as the United States, and forbids its sportsmen from competing against Israelis. Dozens of Iranian athletes have boycotted competitions against Israelis since the 1979 Islamic revolution, either out of choice or under pressure from authorities. But they have tended to lose earlier rounds, claiming sickness or failing to show up, since an open refusal breaches international sporting regulations. Perhaps the most famous was the decision by two-time judo world champion Arash Miresmaili, who deliberately showed up overweight for his bout against an Israeli at the Summer Olympics in Athens in 2004 and was disqualified. He only later said he had done so “to sympathize with the suffering of the people of Palestine”. 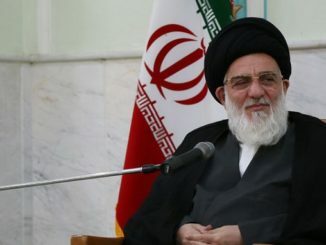 Supreme leader Ayatollah Ali Khamenei praised Karimi Mashiani for throwing his bout in November. “I truly feel proud of such behavior that shows a young man, among our nation, is ready to sacrifice his desires and his right to earn a championship for the sake of a great, high goal,” Khamenei said in a statement on his website in December.